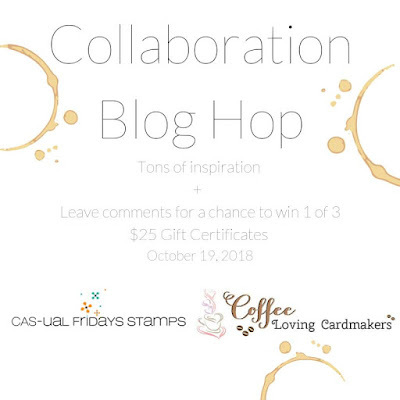 Welcome to the Coffee Loving Cardmakers and CAS-ual Fridays Collaboration Blog Hop! If you lost your way, please check out full blog hop list at the bottom of this post. For today, I have two cards to share with you. 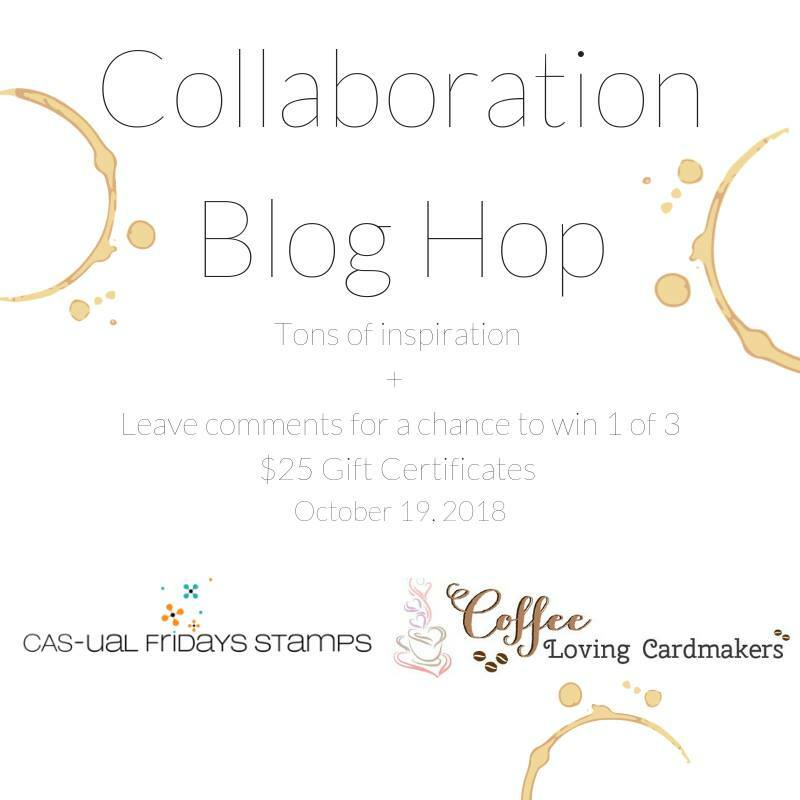 I featured CAS-ual Fridays Cup of Coffee Stamp set and Coffee Cup Fri-Dies and here are what I came up with. To begin, I die cut small mugs from white card stock CAS-ual Fridays Coffee Cup Die set several times. I colored them with Copic markers. I layered patterned red, metallic silver and woodgrain papers from bottom to top. Then, I foam mounted mugs like Christmas tree. I pulled out a small wooden star and rubbed it with watermark ink. I heat embossed it using Silver Sparkle embossing powder. I silver heat embossed sentiment onto a piece of brown card stock as shown. I finished off this card by adding clear drops here and there. 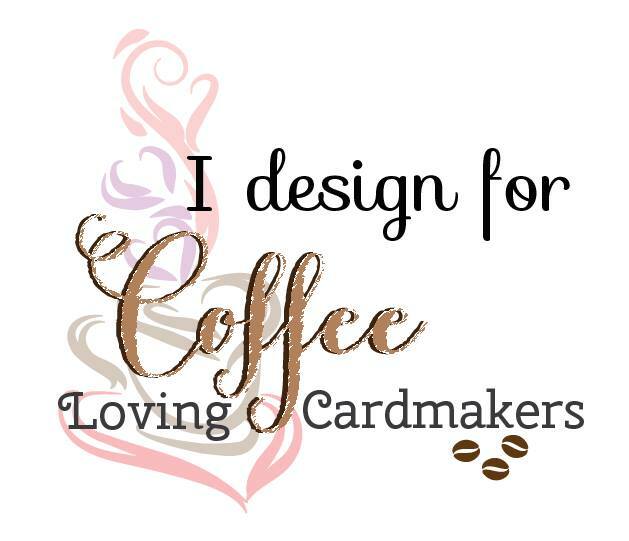 For my next card, I die cut background panel, big mug and coffee sentiment from cold pressed watercolor paper. Check out their current challenge! I inspired by this color palette. I watercolored background using distress inks. While it was drying, I colored my mug with Copic markers. (R81, R83) I colored coffee part with Copic E35 as well. I then scribbled it in Embossing Pen and sprinkled White Puff embossing powder and heat set it. I stamped sentiment in black and foam mounted watercolor panel using craft foam onto grey card stock and white card base. As a final touch, I adhered some crystals as shown in the picture. Hope you enjoyed today's cards. Happy hopping! Leave a comment on each stops and get a chance to win one of three $25 gift certificate! Fun and beautiful! Love that stack of cups and oh so sweet Pretty In Pink design!! Both are awesome! Both cards make me smile! 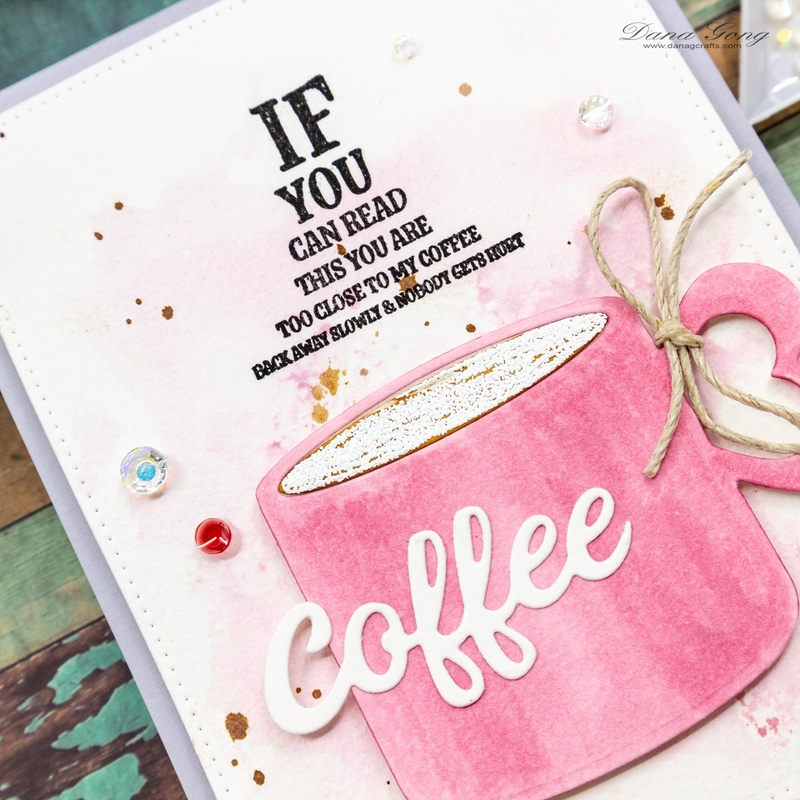 I love the first card, with the stacks of colored cups and the sentiment is so funny! The second card is so funny too...love this sentiment set!! Love, love the coffee 'tree'...so very clever! How fun -- a coffee Christmas tree! I love the colors of the second and the way you did the coffee in the cup! Wow, such stunning cards. I adore the stacked cups as a Christmas tree. How creative. Also love the pick coffee cup card and the embossed detail. i follow you on IG and love your work. These cards are so very cute. Clever idea making a tree out of the cups. The twine on the cup handle is such a sweet touch. 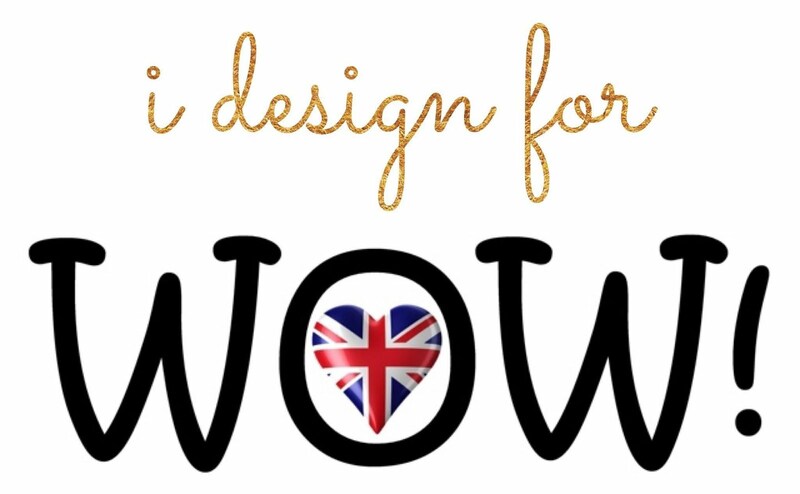 Really enjoying seeing how these wonderful stamp sets and dies can be used. Great cards! Those sentiments are so funny and just crack me up! Love your cups and the designs are really pretty! love the pink & gray color combo. That coffee looks delicious! And I love the twine bow; a nice touch. Such a clever idea to make it a tree! GENIUS! Love the fun Christmas Tree. 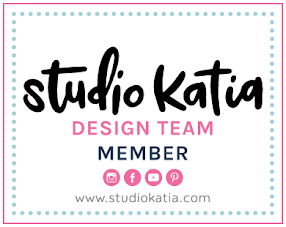 The pink card is gorrrrrgeous!!! What awesome cards! Love the tree you created... so clever! Fun colors, and of course a star on top! Love your second card too! A coffee tree, how clever!! And the pink cup looks so yummy! Great sentiments on both and I like the stack of cups like a tree on the first one. Awesome. I love their vibrancy. love the tree and sentiment! 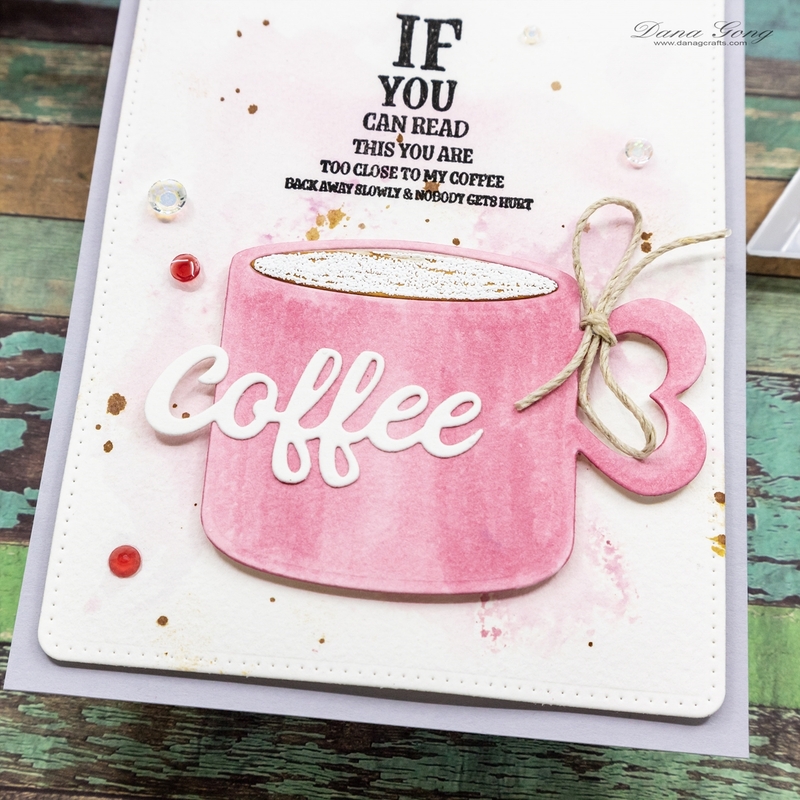 Oh my gosh, I just love all these different and unique coffee sentiments! So fun! Dana, both cards are fantastic! Your designs are creative and beautiful. These are both so cute!! LOVE the coffee tree!! 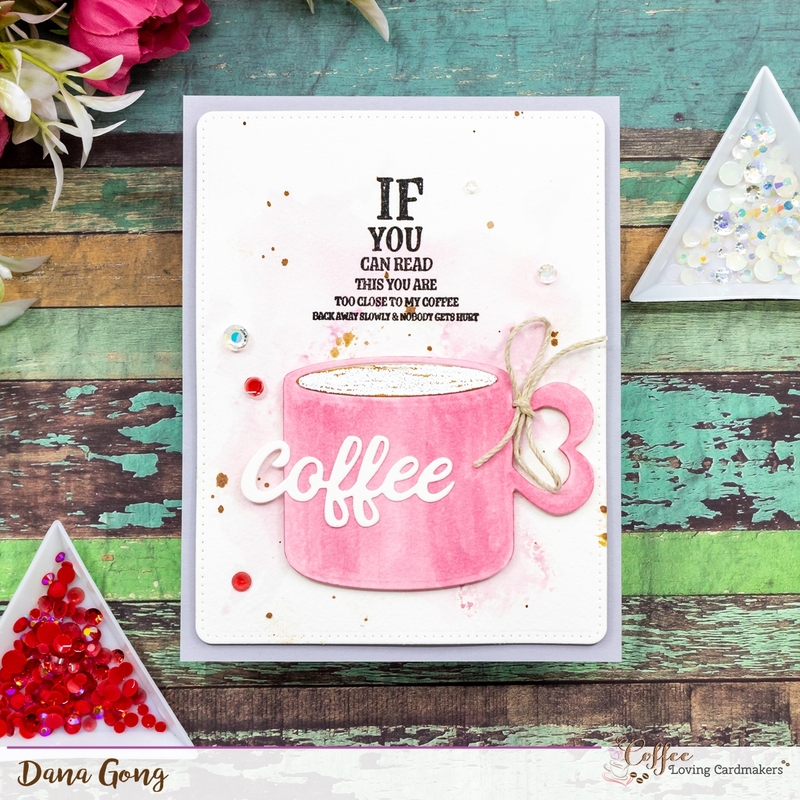 Great coffee cards! I especially love the stack of cups tree! These cards are really fun! 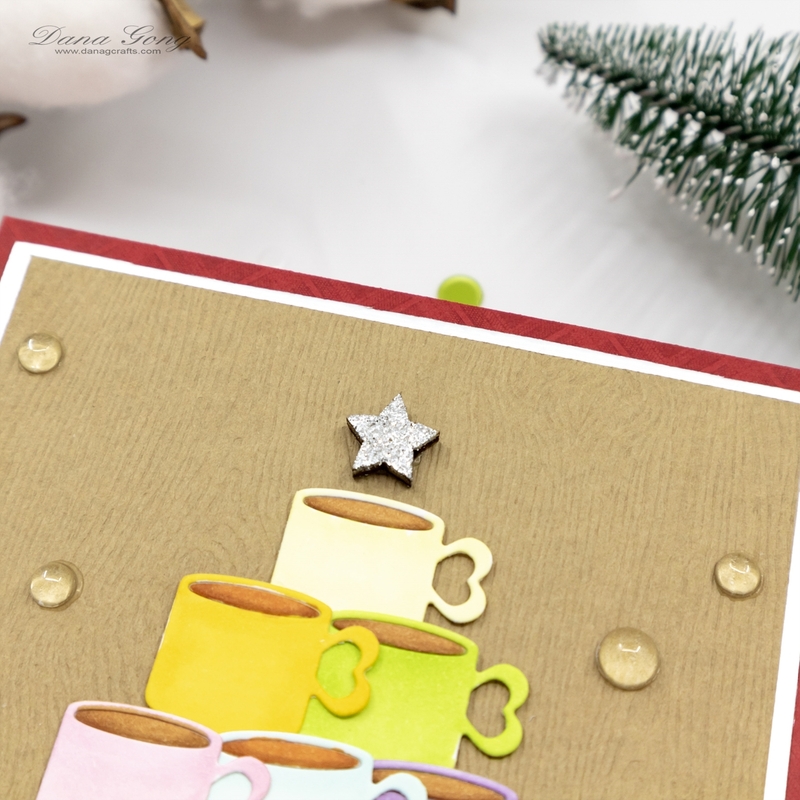 I LOVE the sentiment in your first card, and that awesome way you have stacked up the mugs! The little star on top reminds me of a Christmas tree too! Awesome! I love both of your cards, Dana, but my favorite is the stack of mugs ....super cute! What a fun little coffee mug tree! Fabulous!! Love the coffee tree!! Love your pyramid of rainbow coffee cups. Fun cards and the sentiments are perfect! Fabulous cards, Dana. I love the stacked cups card and the sweet pink design. Lots of fun and inspiration. 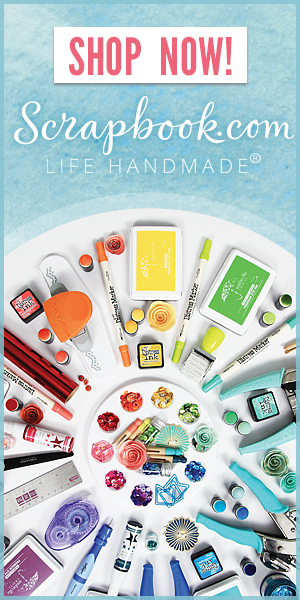 Thanks for sharing your FAB ideas using this awesome stamp set from CAS-ual Fridays Stamps.